These rear control arm bushings for the 2007-2012 Acura RDX will maintain the alignment of your rear tires and keep the contact patch flush against the pavement. Does your RDX pull to one side or the other? Have you noticed that your rear tires have some uneven wear? If this is the case your problem might be worn rubber control arm bushings. As your suspension travels the rubber bushings holding your control arms flex and bend and over time this shape change becomes permanent, leaving you with a hollowed out bushing. This can throw off the alignment angles of your rear tires. 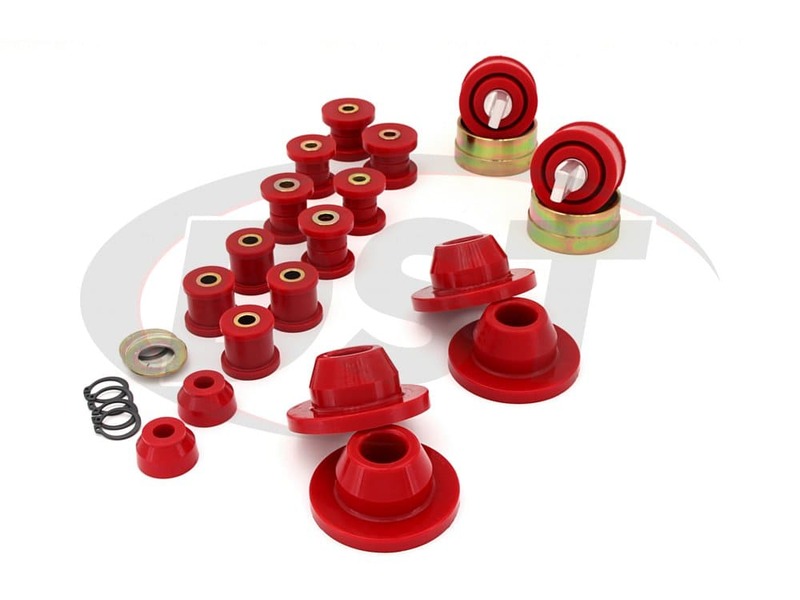 Worn rubber control arm bushings can affect the alignment geometry of your suspension. If they are loose enough the camber of your vehicle can be thrown off causing uneven tire wear and allowing the vehicle to pull to one side. Sometimes negative camber is dialed into a car to help out with sharp cornering, but on a daily driver this is unnecessary and will only mean premature tire replacements. These worn out control arm bushings can also cause your tires to "toe-out" meaning the front of the tires are pointed away from your RDX. This really takes its toll on your tread since your tires are essentially being drug along the driving surface at an angle instead of rolling straight ahead like they were designed.  This can also cause some steering wander. 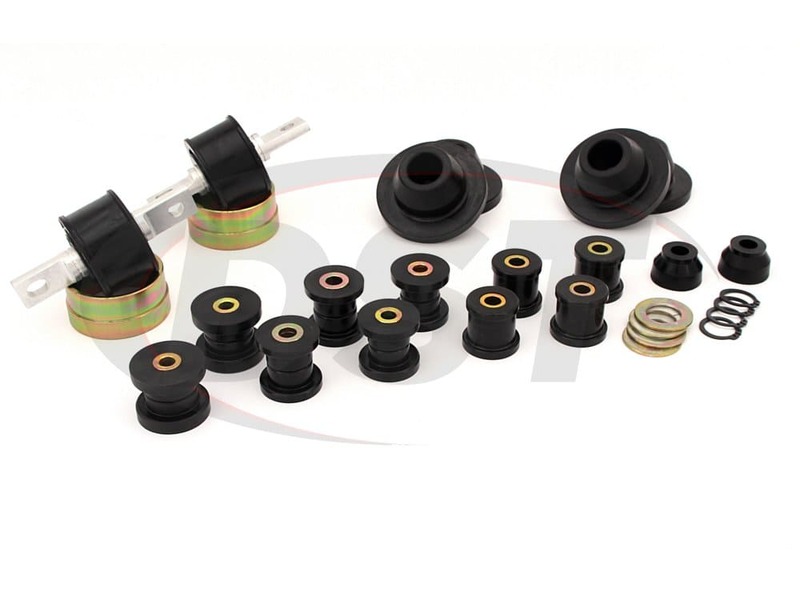 These bushings can be replaced with more rubber to restore your suspension and hold those alignment angles, but as that rubber wears down you will be facing the same problem again someday. 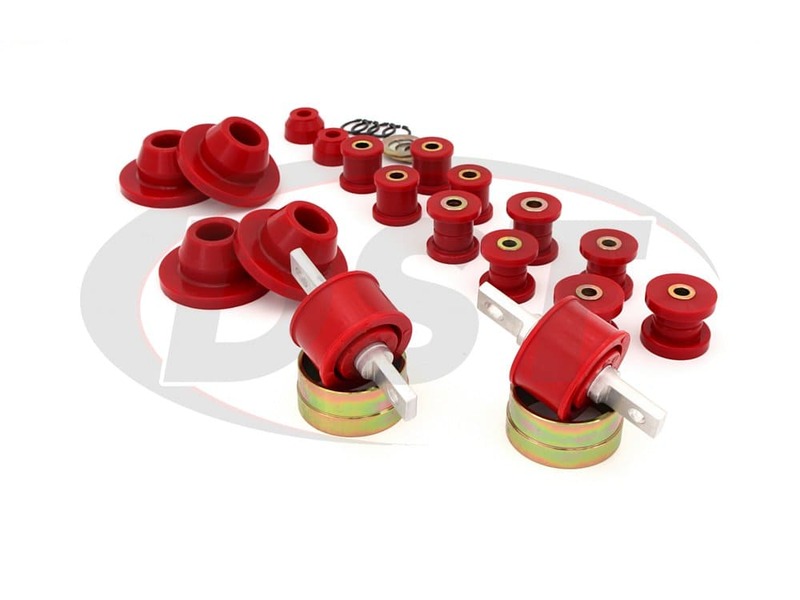 If you want a more durable replacement option then take a look at Energy Suspension's polyurethane rear control arm bushings for the Acura RDX. 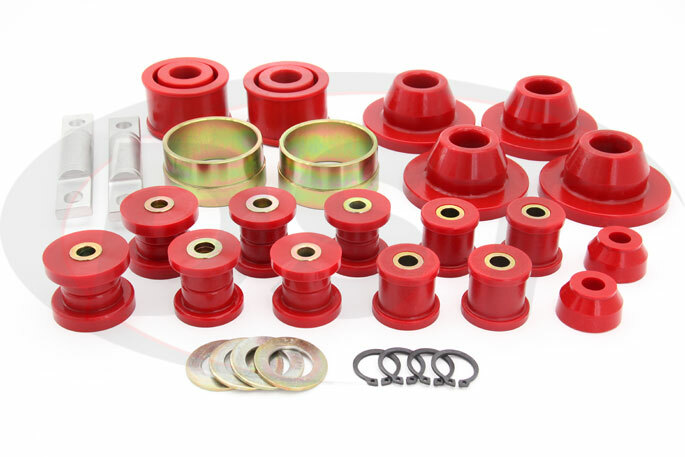 Polyurethane bushings are the best balance between soft rubber (that is prone to fail because of wear) and metal (used in racing for the most rigid alignment possible). With these bushings, you get a stronger hold on your wheel's alignment without totally sacrificing the vibration absorption you had with rubber bushings. Polyurethane doesn't flex and bend to the extent that rubber does, and while this means the rear of your RDX will be a little stiffer, you can be sure that you won't be left with a worn out, sagging bushing. 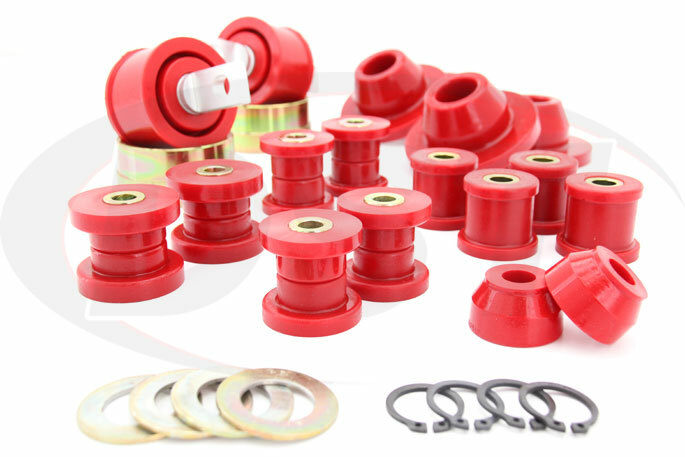 If you want better response from your vehicle when you try to make a sharp turn at speed, polyurethane bushings will give you better results than rubber. You might be replacing old rubber bushings because a set of tires wore out prematurely, and that's something you don't want to have to deal with again. In addition to normal wear, heat, oils, and road salts can compromise the integrity of rubber bushings and cause them to fail, but Polyurethane is unaffected by these elements. 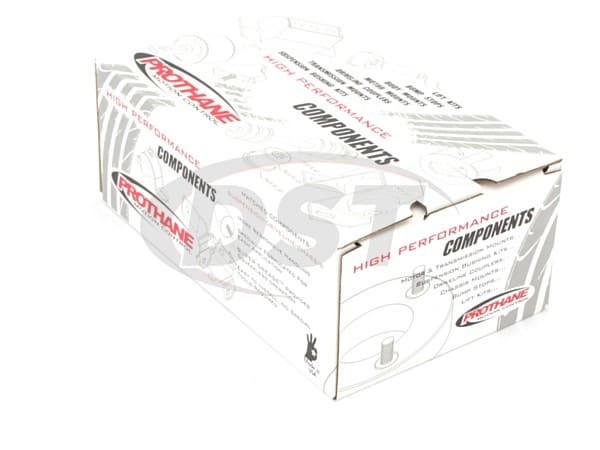 The folks at Prothane are so confident that these parts will last the life of your vehicle that they back them up with a lifetime warranty and DST will handle that warranty for you in-house.